Is there any paperwork or document for the mechanical systems of 56 Mcgonigal Lane, Ajax, Ontario? I need more information about the property at 56 Mcgonigal Lane, Ajax, Ontario. How ist the neighborhood, location and nearby amenities for 56 Mcgonigal Lane, Ajax, Ontario? I have questions about the roof, foundation, insulations and mechanical issues of 56 Mcgonigal Lane, Ajax, Ontario? I need more information about property details. What's wrong with this house? Is this a short sale? 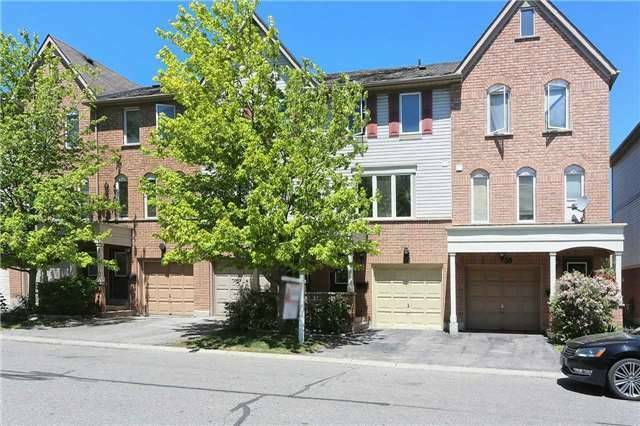 Is there any maintenance for 56 Mcgonigal Lane, Ajax, Ontario? What is this property worth in today's market? What are "closing costs", and how much? What steps should I take when looking for a home loan? What price home can I afford? Is my credit good enough to buy this house? What are the best mortgage options for me? How flexible is the seller on the asking price? How low can I consider offering for 56 Mcgonigal Lane, Ajax, Ontario? Perfect For First-Time Home Buyers! Located In A Family Friendly Neighbourhood. Bright And Beautiful Townhouse Condo Features Large Living/Dining Room Combo, Spacious Eat-In Kitchen, Large Master Bedroom And Updated Washrooms. Well Kept, Fenced-In Backyard. Access To Garage From Family Rm. Complex Boasts Park For Children. Close To Grocery, Schools, Access To Walking Trails And Ravine. Ample Visitors Parking. Close To Transit, Minutes From 401 & Go Station. All Appliances:S/S Fridge, Stove, B/I Microwave, B/I Dishwasher. Clothes Washer And Dryer. Garage Door Opener. Fitted For Central Vac. Includes Water Softener. All Elfs And Window Blinds.